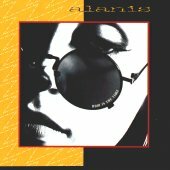 Alanis Morissette's Jagged Little Pill -- the 1995 album that has sold over 30 million copies worldwide and won multiple Grammys -- was thought by most people to be her debut album. And it was -- in every country except her native Canada. But her fellow Canadians knew Alanis long before she achieved international stardom at the age of 21. When she was 10, she was a cast member on You Can't Do That On Television! , a rather crude children's program that has been shown on the U.S. cable channel Nickelodeon. And when she was 16, she recorded the first of two dance pop albums (billed under her first name Alanis) that were only released in Canada. They are now out of print even in Canada, and it's easy to understand why they have not been available in the years since her international breakthrough, because these two recordings are very different from her later alternative-rock work. Unfortunately, they are also often embarrassingly bad. Even on a dance pop level, they don't generate much excitement. Ironically, the woman who progressed from teen pop princess to alternative-rock icon has had a marked influence on a later generation of teen pop princesses due to her alt-rock megaseller. If the music of such Jagged Little Pill-inspired youngsters as Avril Lavigne and Ashlee Simpson had existed ten years earlier than it did, it may have been labeled "alternative". But in the mid-'00's, it was labeled as "teen pop". What a difference a decade makes. On the two pre-Pill albums, producer Leslie David Howe served the same basic purpose as Glen Ballard did on the next two. All of the songs were co-written by Alanis, Howe, and others. Morissette's voice sounded smoother here than on her later albums. That may be because she was younger, but a great deal of studio work was still probably needed to achieve that! Morissette’s very first record was a 7-inch single which she wrote, recorded and independently released in Canada in 1987, when she was just 13 years old. The engineer and co-producer was former Stampeders guitarist Rich Dodson. 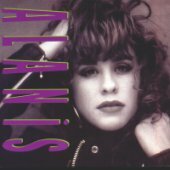 Alanis was once called “the Tiffany of Canada”, in comparison to a U.S. teen pop star from the late ‘80’s. “Fate Stay With Me”, the A-side of her debut single, is the recording in which Alanis bears the most actual musical resemblance to Tiffany. The song is kiddie-pop confection, suitable mainly for children's birthday parties. But, surprisingly enough, the B-side “Find The Right Man” comes very close to being a good ballad. It is expectedly marred by a minor case of child-star preciousness, and its electronic instrumentation enhances that effect. Nonetheless, that song was a telling sign that this precocious youngster “had something”. Her full-length debut album, the self-titled Alanis, was released four years later, when Morissette was 16. The comparisons to Tiffany were undoubtedly perpetuated by Alanis' cutesy Tiffany-like poses on the CD cover and in the booklet photos. The music, however, owes more to the Paula Abdul/Janet Jackson school of sugary overproduced dance pop, as Alanis sings frothy songs about boys, parties and herself. The lyrics generally suffer from ineptitude; the self-referential "Oh Yeah!" is particularly laughable. Anyone who looks for embryonic elements of Morissette's future angst persona will be disappointed; only scant clues of it can be found in "Walk Away", "On My Own", and "Jealous".